Oh crap, you just twisted your ankle or smashed your knee or jammed your fingers really bad. What is a weekend warrior to do? Well, as long as it isn't a major injury, and falls into the category of a contusion or minor grade 1 tear, you can usually take care of it yourself with a little RICE. Rice is the acronym that stands for Rest, Ice, Compression, Elevation. This will help to improve the body's natural ability to heal itself. Rest: This one is pretty obvious but often ignored by "tough guys" or stubborn athletes. It makes sense that you should avoid more than just light physical activity on the affected joint or muscle so you do not cause further aggravation, inflammation, or greater complication. Ice: Icing an injury within the first 72 hours can help to minimize excessive inflammation and swelling, as well as reducing pain without resorting to pills. 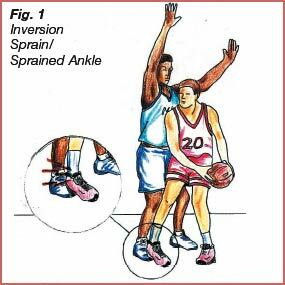 Elevation: Keep the area of the injury elevated if possible to let gravity help out instead of hurt you more. You want to avoid extra blood and fluids pooling at the injury site, especially the extremities (let's say ankle in this case) which again could add to the inflammation of the site. So there you have it, simple yet effective tips to help mitigate the damage done by an injury and to improve the overall healing process. As mentioned before, use common sense and if you have any doubt that it is more than just a minor injury, seek medical attention for an X-Ray, MRI, or additional diagnosis.